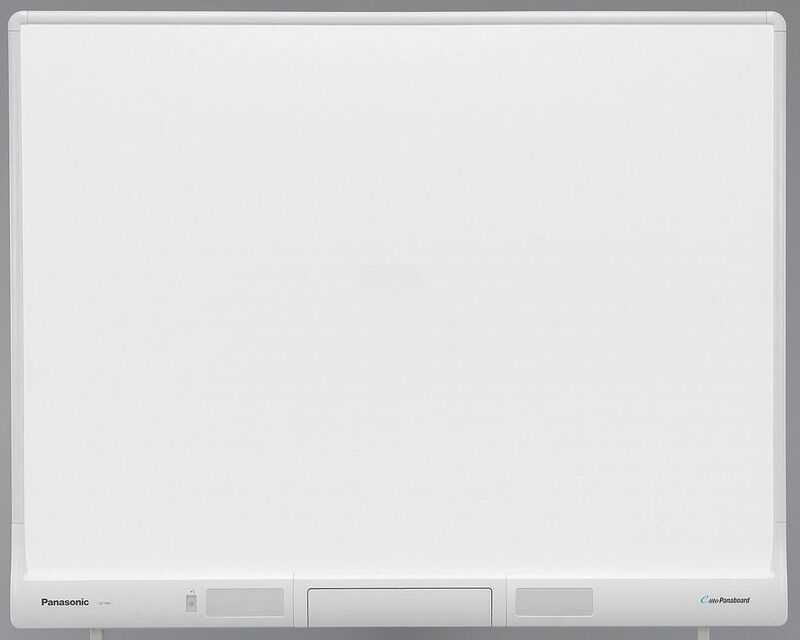 Most large whiteboard or dry erase boards come with a plain presentation – if you are looking for something nicer than the everyday whiteboard 3M has made a wide screen style melamine dry erase board. Having the aluminum finishing around the edges gives large whiteboards a nicer finish and presentation. 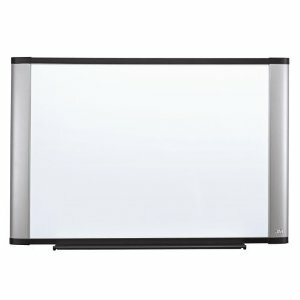 If you are looking for something for meeting rooms or other areas where making an impression is important this whiteboard will get the job done. In addition to the black framing shown in the picture, there are several more colors available: mahogany, aluminum, and light cherry. The 3M wide screen dry erase board also comes with a standard pen tray that is attached at the center of the bottom portion of the surface. Mounting brackets (attached using screws) and strips to help keep the bottom of the board from moving are included. The strips make use of Velcro to help better hold the board in place and keep it from moving while being used on a wall. You know how important this can be if you’ve ever used a whiteboard that was improperly attached to the wall and moved or swung while trying to write. Using these attachment devices is the optimum way to hang the board – users have reported that the included brackets can be tough to set up correctly, so be prepared for a little bit of trial and error (this seems to be the case with most whiteboards). 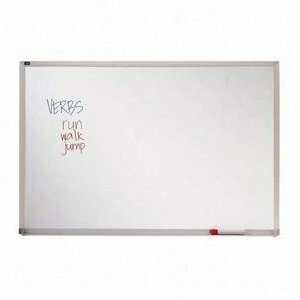 The surface of this large dry erase board is melamine – much cheaper than the high end porcelain finishes and erases nearly as well. Porcelain boards can costs several times more than melamine. This huge price difference can be easily remedied with a normal cleaning schedule. All large whiteboard will occasionally “stain” or “ghost” if dry erase marker is left on the surface for long enough. Be sure to occasionally clean your board with a quality cleaning product and you will have a clean and long lasting surface.